Hello and welcome back fellow crafters! I hope you had a super FUN Halloween! Can you believe its already November 1st? WOW! That means Christmas will be here before we know it! Speaking of Christmas, take a look at this month's lovely NEW Releases at ODBD!! I've got 3 samples to share for this BLOG-HOP. I heat embossed the snowflake background in Silver then covered it with a CE sticky sheet and poured Cosmic Shimmer Glitter all over for the sparkle. 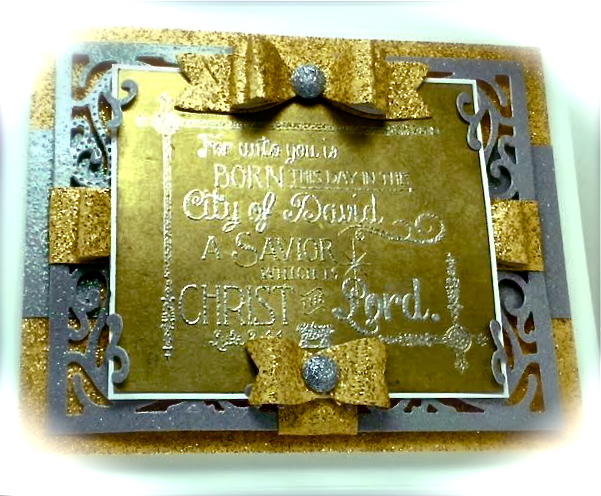 Gold Textures, Metallic and Silver Embossing make up this sparkly Card to showcase this beautiful Born this Day Phrase. THANKS FOR STOPPING BY TODAY! I love hearing from you. Beautiful cards America! Love your use of metallics and embossing, stunning! Ooo, diamonds! Such pretty cards you have created, America. I especially like your ornaments. Very beautiful and classy cards. Wow such elegance and use of gold silver and red for the perfect dies for Christmas! Blingalicious!!! Your silver card is gorgeous! Hi Teamie...your silver and gold creations are GORGEOUS!!! 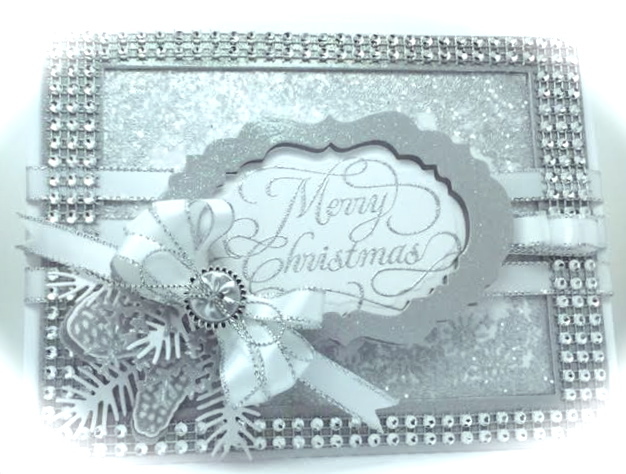 Love the bling border on your first card....sparkles all the way! These are so lovely! The second one is so striking! Wow, these are beautiful. Love these new releases. Beautiful cards and beautiful stamps. I especially love the silver one, it's so elegant. Wowzer, America!! So rich and regal!! I just love all the metallic gold and the texture!! 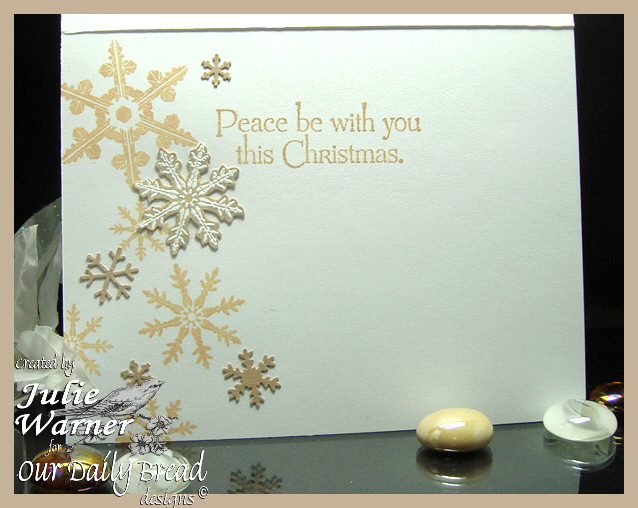 The second one with the Merry Christmas flourish stamped on the black and the pops of color is my fave!! Gorgeous work my friend! Love all the sparkle in your designs. Stunning! I love all the shine and sparkle you created. These cards really are beautiful. The first card is my favorite. There wouldn't be one thing I would change on it. It is one of those cards you could stare at for a long time. Beautiful creativity. BEautiful cards!! Love the silver one!! Gorgeous!! Gorgeous with all the silver and gold! Love the luxurious look of the gold and black on the ornament card. Gorgeous artwork! I know the photos don't do these awesome beauties justice! 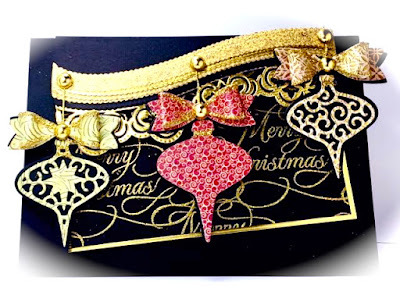 Love the embossing and your beautiful use of the bow Season! Amazing as always! So many gorgeous details and such amazing ideas!!! Great showcases for the new products! Amazing cards! I especially love the embossing on your second card! Oh, these cards are absolutely stunning!!! Each one is so different and so elegant. Love, love, love them!!! LOVELY cards! I am drawn to the silver beauty! Great work. BEAUTIFUL cards...America!! Love all the bling on the first one!! Your cards are all amazing as usual! Stunning works of art! Thanks for the inspiration! Elegant cards! Love the silver and gold! Great projects! I love this release. I wish all the contributors would allow anonymous comments as there was some simply stunning cards but I couldn't leave them a message. Beautiful! oops, I was the anonymous one but forgot to give my name! Sorry about that! I was just so excited by all the great creations! These cards are fabulous! Love the Born This Day stamp! Great chance to see such pretty cards by talented artists! Love the dazzle and sparkle on all three creations, America! The metallics really add to the elegance of each card! Fabulous release projects, my friend! Hugs! Wow, wow, wow! Where to begin!!! I LOVE the FMC stamped multiple times to create a background!! All 3 are just stunning, over-the-top sparkly creations! Gorgeous work, my friend!!! Your creations are always so beautiful America! Hope you're doing well. Please check this out: http://darscraftycreations.blogspot.com/2015/11/new-challenge-blog-coming.html and let me know if you're interested. Now I need to get back outside on this beautiful November day and finish my power washing ... uugh ... not too many of these 70 degree days left in this year. Hugs and hope you're well. Really elegant card with dark and gold combination wich ever ameized.